Rubbermaid Commercial FGF15900WH00 Premium Cut-End Cotton Mop, 32-ounce, 5-inch Headband. 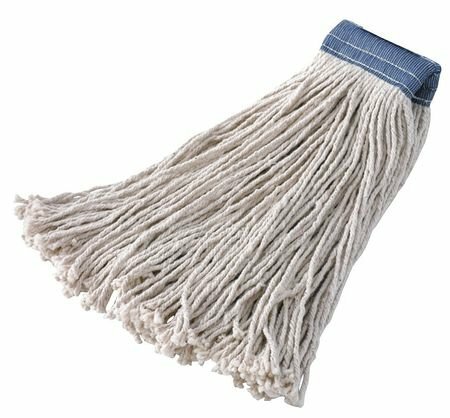 Economical, 4-ply cut-end mop. LEED-point qualified. For general purpose cleaning. 1.733 inches long by 1.65 inches wide by 0.983 inches high. 2.083 pounds. Made in the USA. 1.733 inches long by 1.65 inches wide by 0.983 inches high. 2.083 pounds. Made in the USA.